If we’re always determined to create a masterpiece with every sketch, we miss out on some of the best ways to improve our drawing skills. 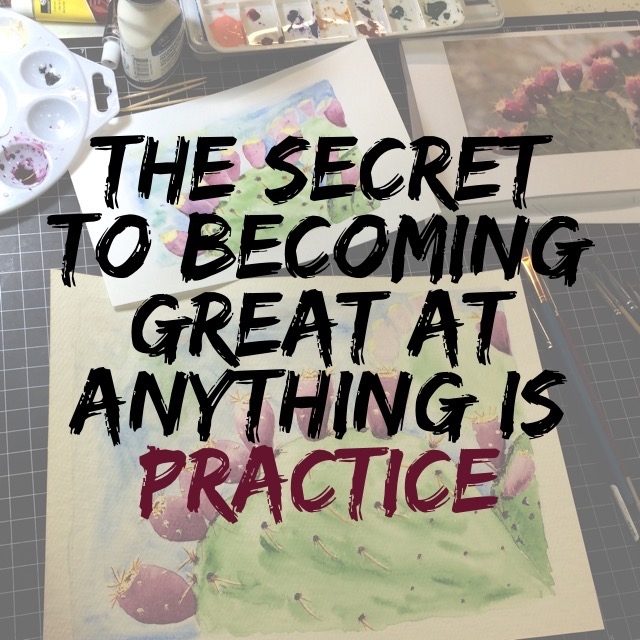 The best way to get better at anything is through deliberate, regular practice of a smaller skill set. 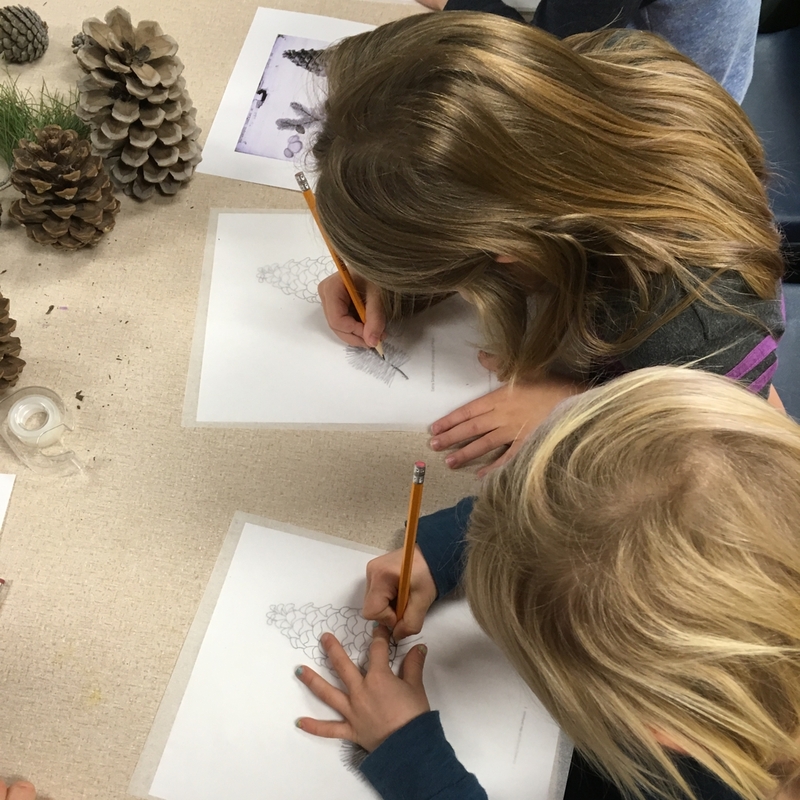 In art, we use drawing drills to improve our skills. Drawing is at the root of all the other visual art skills so it’s always helpful to spend time improving drawing skills. Artists are NOT born, they’re made through practice, and practice is how we improve at everything. However, it’s helpful with any large skill set, to break it down into manageable (a.k.a. learnable) chunks. It’s true with playing sports, learning a new instrument, and writing, just as it is with sketching and drawing. Here are some specific drills that help artists improve at the skills they need to create the art they want to create. We covered this fully in another set of episodes and blog posts. You can find all the links and details on our Tracing is Amazing page. 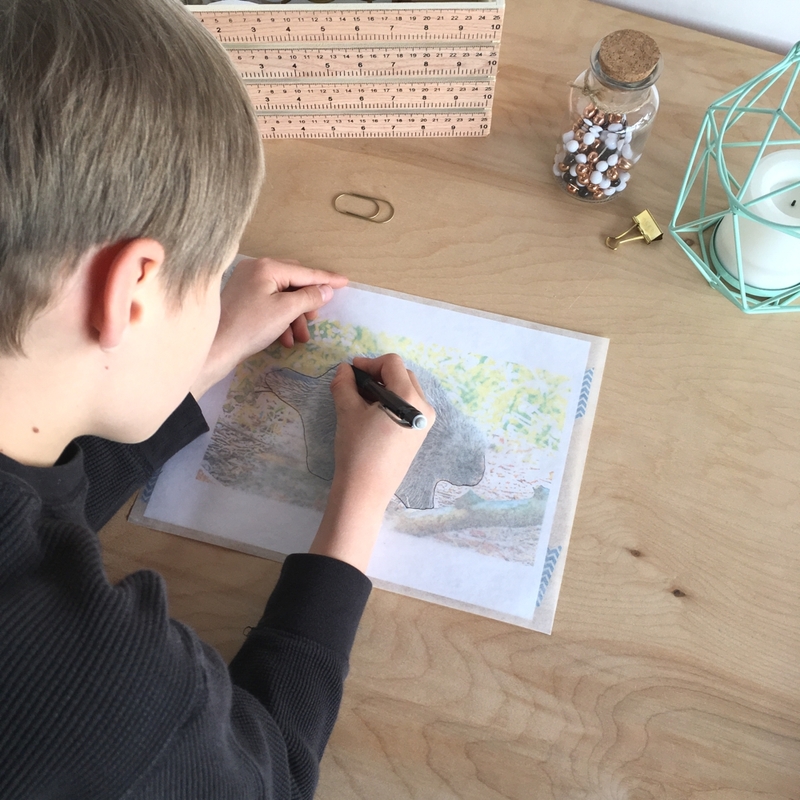 In this episode, we also mentioned one of the limitations of tracing: If the student is a natural artist who can look at a picture and draw it, tracing might not be helpful at all. In fact, it could frustrate the student. 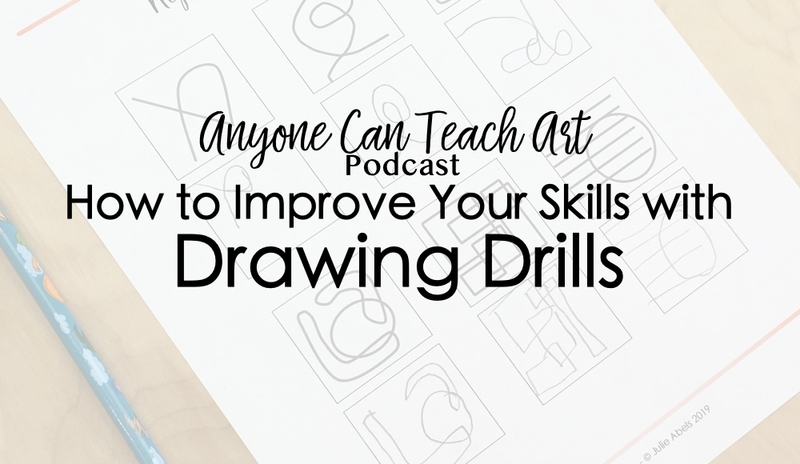 Look back and consider what the student has had success with in drawing, but also consider branching out with new drills. Best for: This is a great warm-up for beginner and intermediate artists. How to: Create pairs of one-inch squares. In one square of each pair draw some random lines or patterns. Make each square different. Leave the other half of the pair blank. Make some copies and have your students try to perfectly replicate the lines and patterns in the blank squares. 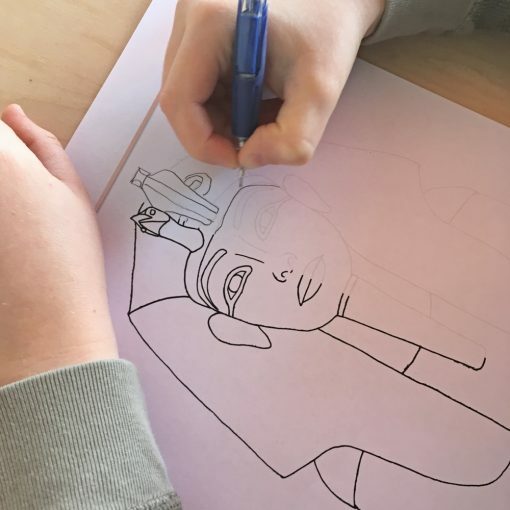 Why it helps: It helps students slow down and activate the visual/spatial part of the brain without any stress of trying to make their drawing look like a recognizable subject. We chatted about this more in Episode 30, Archaic Greek Art, Linking Ancient to Modern Art. Best for: This seems to most help people who default to left (verbal, logical) brain activities, which is generally age 10 and over. How to: To do this exercise, start with a line drawing (a drawing with just lines- no color and no shading). Place the drawing upside down. You might also want to cover most of the picture and just reveal a bit of it at a time. Resist the urge to figure out what it is. That urge is your verbal side trying to name the subject so it can provide you a symbol of the subject! Instead, focus on the lines: Are the lines straight or curved? How are they angled? How much space is there between the lines. Draw the whole picture and when you finish, try to notice what it felt like to engage your visual side of the brain. This is the ultimate goals of this exercise- learning to engage the visual part of your brain on demand. Betty Edwards calls this “R-mode” and says it should always be used when drawing. Why it helps: The left (verbal, logical) side is not very good at instantly recognizing a picture when it is upside down, allowing the right (visual, spacial) side an opportunity to look at the lines and shapes as they really are. For more info: Betty Edwards’ 1979 book Drawing on the Right Side of the Brain gives more information about the research behind this and some examples. 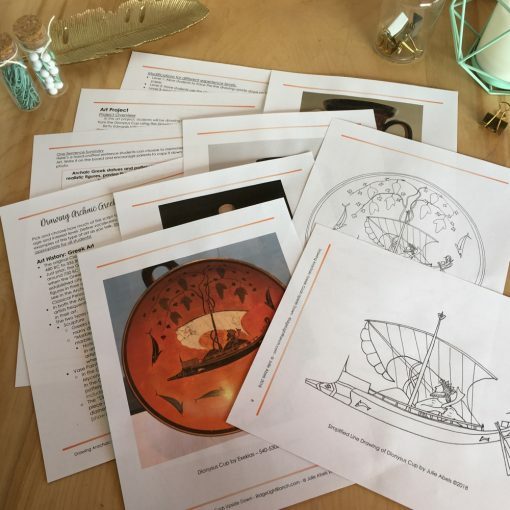 We have two lesson plans that use the Upside Down method as part of a project: Drawing Upside Down Ships and Drawing Archaic Greek Gods Upside Down (both are shown below). 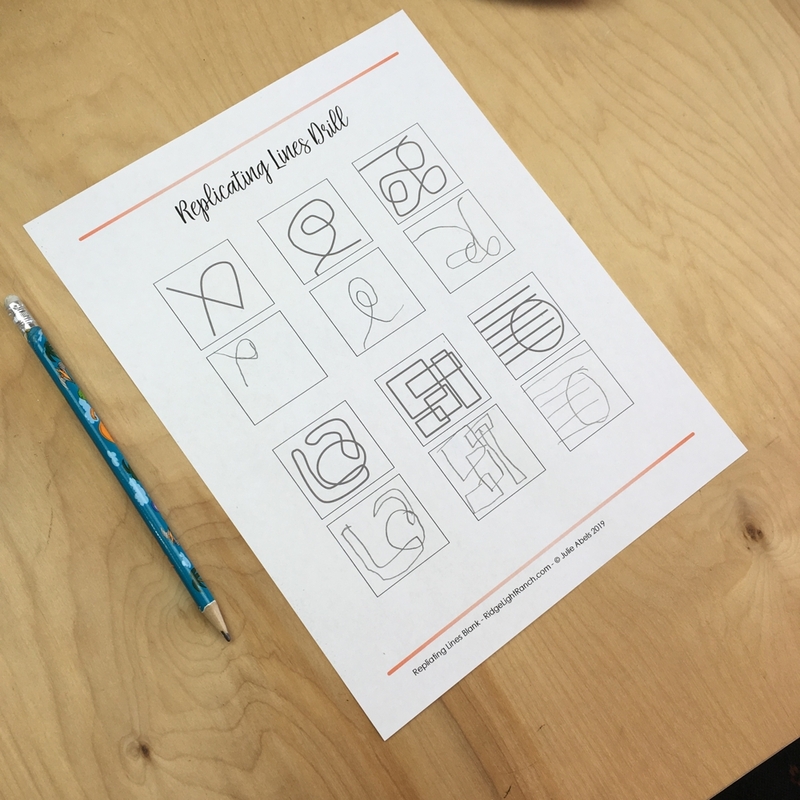 Best for: It can be done as a warm-up, for all ages, to help engage the visual/spatial part of the brain or as a stand-alone lesson. This is also a great opportunity to talk about how Balance and Symmetry play a role in the Principals of Design! Keep the images simple at first and work up to more complex images. 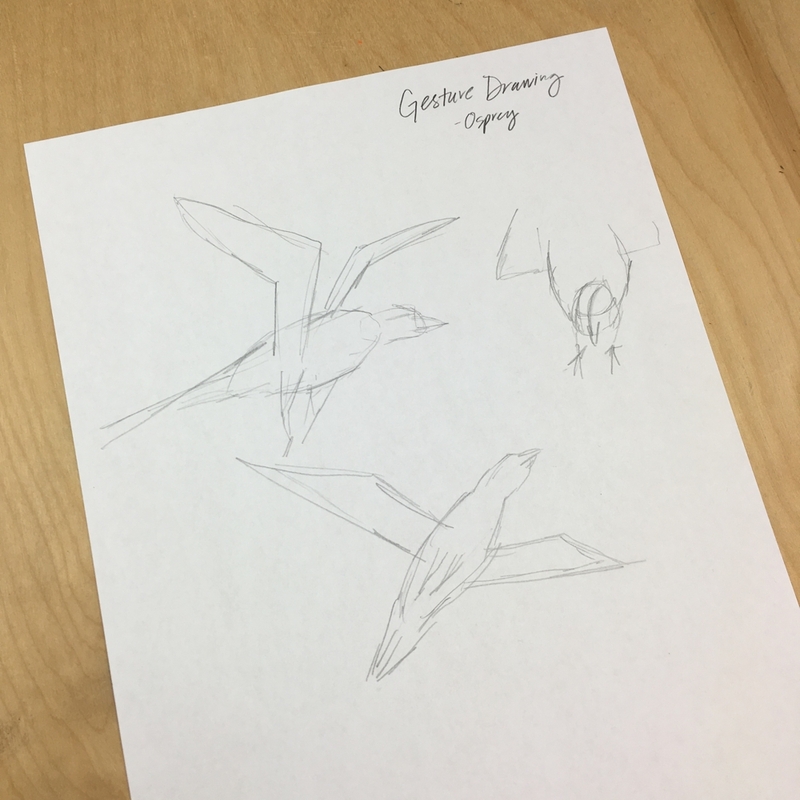 How to: In this teaching method, you provide a drawing of half of a symmetrical object (let’s call it the left half) and the students replicate the mirror image (or the right half) of the drawing. One alteration is to provide the initial half-drawing of the left side of the image on a separate piece of paper so that the student can draw the mirror image (the right half) of it and then remove the provided half-drawing. Next, looking at the right half he/she drew, the student completes the left side of his/her drawing. Another alteration is to use 4 point symmetry. Draw a two-by-by grid and have the student draw some abstract lines in one quadrant. Then have the students draw the mirrored versions of each of the remaining quadrants. Why it helps: This is a great brain-stretching exercise and helps students focus on the direction of the lines instead of what the object actually is. For more info: Betty Edwards does a slightly different version of this in her book, Drawing on the Right Side of the Brain. Negative space: the space around the subject- everything but the subject of the drawing. Best for: This is a good a warm-up drill for engaging the right/visual brain. Very young students sometimes have trouble understanding the idea of negative space. However, once they understand the concept, they can complete this drawing drill. How to: Look for an object with interesting negative space (not just a cube). For example, a step stool, a microscope, or a plant will have an interesting negative space. Draw in the background, leaving a white silhouette of the object on the paper. Why it helps: In everyday life, we tend to look at the objects around us and not the negative space surrounding any object. It’s perfectly normal, but when we’re trying to draw that object, ignoring the negative space is like only gathering half the information. Looking for the negative space will feel strange at first, but your mind will adjust to seeing the negative space. 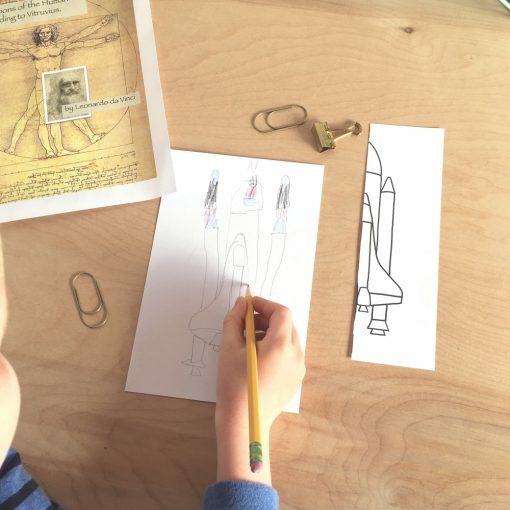 We talk about negative space and use it in our Creating Prints like Durer lesson plan. This drill usually produces a scribbled mess so don’t worry about what the product looks like! Best for: This is a warm-up drill to help intermediate and advanced artists see what’s really there instead of what the brain knows about that subject. 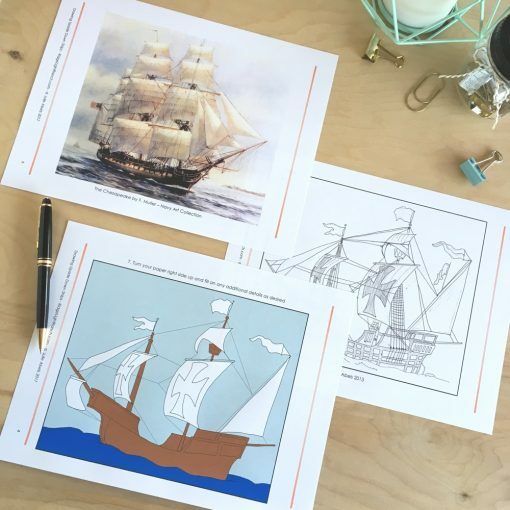 Many art teachers modify this exercise by allowing students to occasionally look at their paper. However, the effectiveness is lost if the student is frequently looking at the paper. Why it helps: This helps the artist spend far more time looking at their subject than their paper and notice the details. For more info: Kimon Nicolaides’ 1941 book, The Natural Way to Draw. Again, this drill is not going to create a masterpiece. However, the results improve over time and the artist gets faster at drawing. Best for: This is great for intermediate and advanced artists to capture movement and action. This drill was designed for figures and human poses but also works well on other subjects that move, like animals. This is also a great way to study a moving subject with a lot of quick sketches. How to: Set a timer from 3 minutes. Look back and forth at your subject and then quickly sketch its basic shapes. Be sure you’re spending more time looking at the subject than at your paper. Do not start with the contour, and do not draw any details. After the 3 minutes is up, move on to a new subject or the same subject at a new angle, and reduce the time you’re working on a drawing down to 2 minutes, then 1 minute, 30 seconds and then 10 seconds. Why it helps: This drill increases the ability of the artist to really see the subject and quickly sketch the key lines that will capture its shape and movement. It also helps the artist become more familiar with a subject. For more info: Kimon Nicolaides’ 1941 book, The Natural Way to Draw. Over the years this exercise has evolved a bit from how Nicolaides described it. The instructions I provide here are the more current version art teachers often use. Adding value improves the depth of a work of art, no matter what medium you’re using. However, in order to add value, you first have to learn to see the value in your subject and then how to add value in the medium you’re using. Best for: This is good for all ages, any time you’re working with a new medium or material. How to: Draw a rectangle (1 x 6 in. works well) and show the gradual change from dark to light in a given medium. The simplest version of it is done with a basic pencil where you lay down more graphite (aka “pencil lead”) on the dark end and less on the light end and then blend a bit. 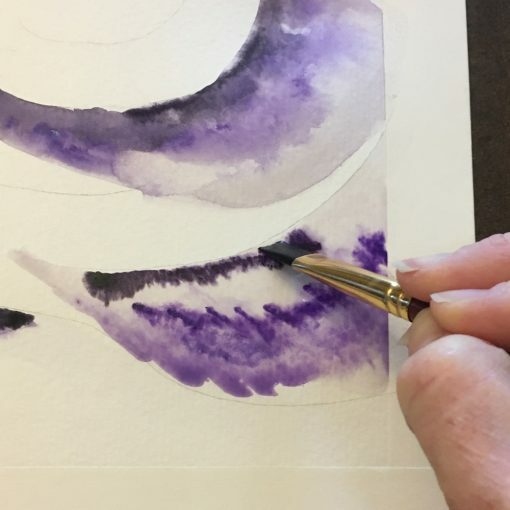 If you are doing this exercise with acrylic paint, you’d mix one color, for example, purple, with varying amounts of black for the dark end of the scale and then mix a bit of purple paint with varying amounts of white paint for the light end of the scale. 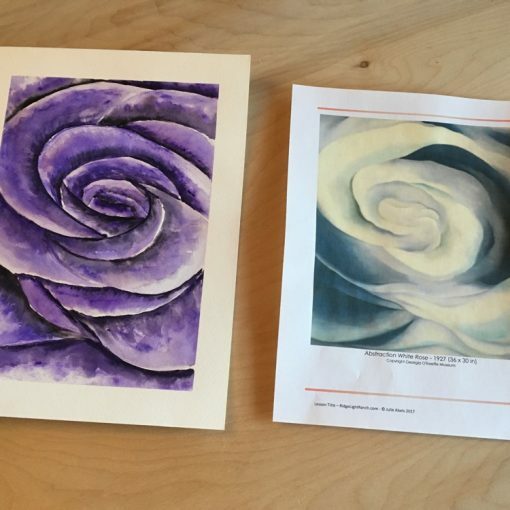 For more info: We talked about value in episode #41, Why Study El Greco, and we use value scales in our Creating Value like El Greco lesson plan and Painting Tones Like O’Keeffe lesson plan (both are pictured below). The O’Keeffe lesson plan includes a short video about mixing white and black paint to create value. The trick to creating textures is often in seeing the way the value changes in conjunction with the changes in the lines. The best way to learn textures is practicing, starting by drawing from a drawing. How to: Create a grid of squares and then fill each one with a different texture. Show students how to draw different textures or allow them to experiment with patterns and lines to see what kind of texture they create. If you’re uncomfortable with textures yourself, show students an example grid of drawn textures and have them replicate them. (There are many different books with example textures!) This ends up being like Replicating Lines drill but it has the added benefit of being a helpful reference student can look back to later when they’re trying to achieve a certain texture. 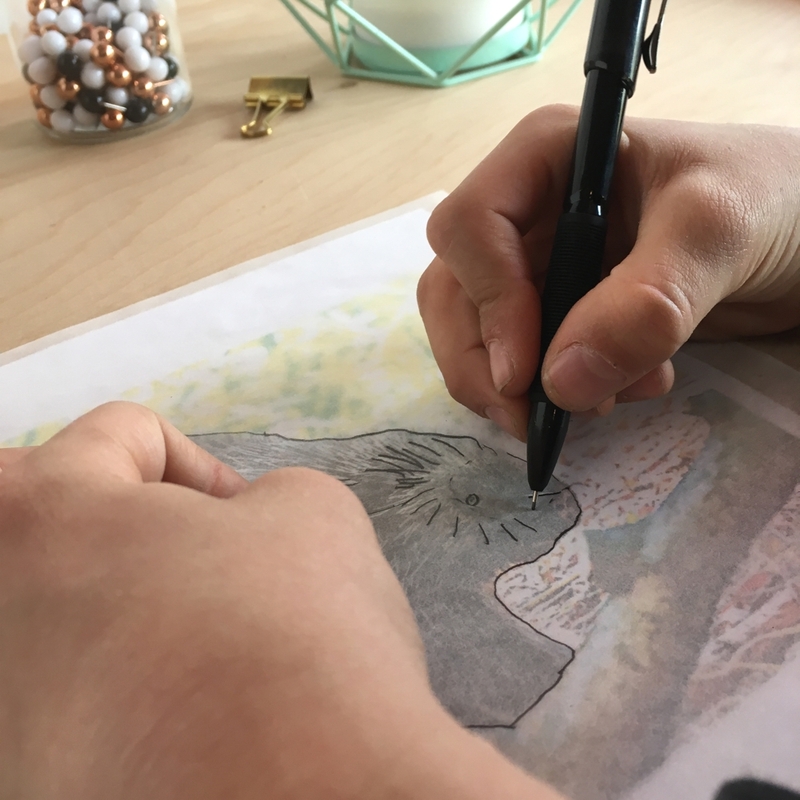 Why it helps: This drill gives students the experience creating different textures, which they can then use in their artwork. This can be a drawing drill or a style of art. Japanese Notan art is created this way and there are many spin-off art projects that use a similar idea. 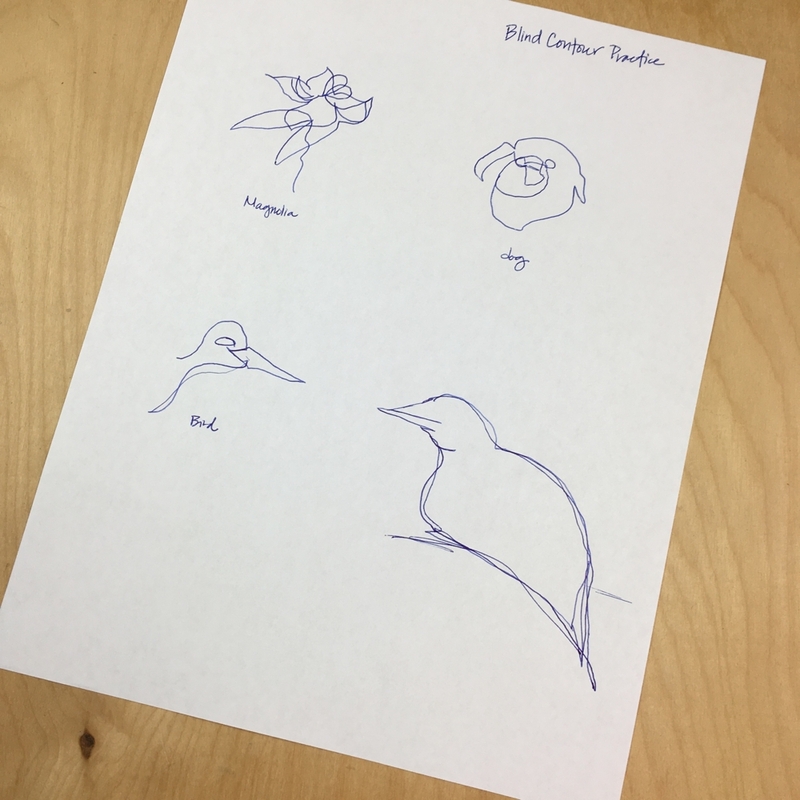 Best for: This drawing drill is best for intermediate to advanced artists because it requires students to look at something complicated and break it down into very simple lines. 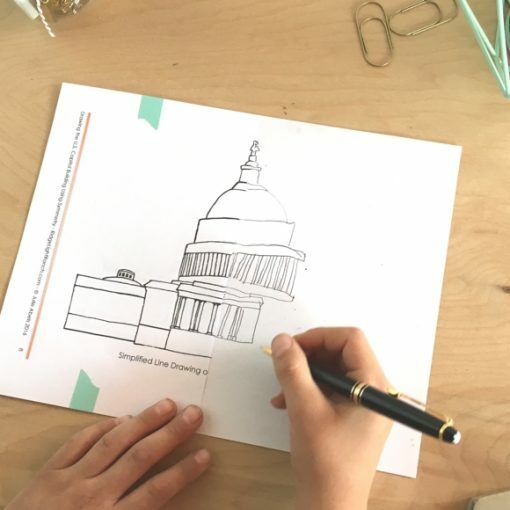 However, there are alterations to this exercise, like cutting shapes out of paper, that make it accessible for all ages. How to: Look at a photo of your subject and squint your eyes, looking for the light and dark areas. Using a black marker or black paint, create bold areas of light and dark, without using crosshatching or other pen-specific shading techniques. If you’re struggling to see the lights and darks, use a photo editing software to make it black and white and then boost the exposure. Why it helps: this trains your eye to see where the dark and light parts of your subject are and trains to the brain to reduce a lot of complicated information down to something simple. For more info: Google “Notan art” and you’ll find all sorts of different projects and uses for this exercise. 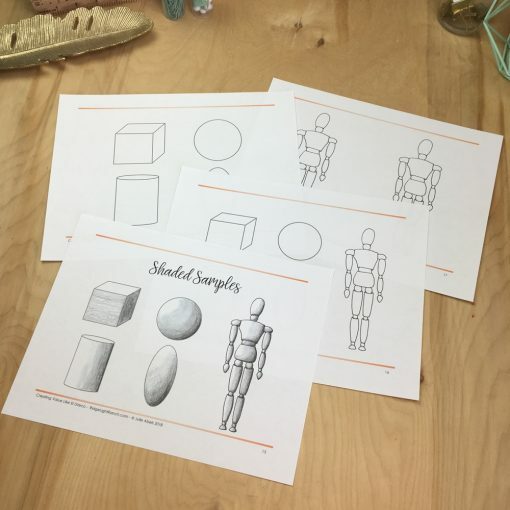 Julie has been creating new art lesson plans! and her upcoming book! We have some special best-of episodes planned for you in the coming weeks and then we’ll be back with new content in Season 3, starting in April.